Kenya is known as one of the giants of the giants of the fresh flower world, producing roses, lilies and other carnations that are freighted around the world to be used as gifts, tokens of affection, and to spruce up weddings, offices and restaurants. A large share of these flowers come from farms around Lake Naivasha, a tiny lake in the Rift Valley of Kenya about 90 kilometers Northwest of Nairobi. Many of the farms are on Moi South Lake Road, which is also where most of the picturesque Naivasha tourist lodges are also located. The road is a bumpy, potholed road, one which seems illogical given the investments on each side of the road, that run into tens of millions of dollars of lodges interspersed with flower farms, that neighbour each other for almost ten kilometers. In between are small ramshackle town structures that are a common peri-urban feature across the country housing bars, chemists, mobile money agents and other shops. There are also schools named after flower companies and you may spot hundreds of school children playing football or lounging at break time as other kids walk towards their homes, along the road which has sparse traffic of flower company buses and land cruisers and minivans ferrying tourists to different lodges, with familiar names like Simba, Enashipai, Sopa, Pinkman, Crayfish and Crescent. There are also signs for land for sale, usually on the left side of the road, away from the prime lake shore and some with unfinished building structures, outcomes of a dream sold years ago of Naivasha as a place to buy a holiday home. Then there appears a large group of greenhouses, on the right side of the road, the preferred side. But unlike other farms you have passed, you can see past the ever-present Naivasha thorn bushes and security fences, that the greenhouses plastic walls and roofs are torn, flapping in the wind.. Inside the compound looks overgrown, and devoid of busy activity at other flower farms. This is Karuturi, a farm that has spawned a long-running case in the Kenya courts. It is not the longest, not by far. If you spend time in Kenya’s courts you will discover there are cases, commercial and civil, that stretch as far back as ten, twenty, and even thirty years. The case, Civil Suit No. 78 of 2014 of Surya Holdings, Rhea Holdings and Karuturi Limited, against CFC Stanbic Bank collectively known Karuturi case is a unique one. One that has roped in banks in Kenya and India, landowners, flower pickers, workers unions, schools, two receiver managers, audit firms, suppliers and government agencies. December 2012: Stanbic advances facilities to Karuturi; with the main loan to be repaid over five years. The facilities are secured by guarantees from directors of Karuturi as well as Rhea Holdings and Surya Holdings, related companies which are the registered owners of the land parcels the farm was situated on, The first repayment was made in January 2013 but then none was made for the next three months in succession. January 2014: Stanbic obtained an advisory opinion which showed that the Karuturi farm was insolvent, its financial accounts were questionable for 2012 and it appeared the directors of Karuturi had abandoned the farm. They advised that putting the farm under receivership was the only way to stop further degradation of the assets. as the farm had stopped sales and production of flowers at Naivasha in August 2013. February 2014: Stanbic places Karuturi in receivership and appoints Kieran Day and Ian Small as Receivers and Managers. February 2014: Receivers advised the bank to move to dispose of the farm as soon as possible and to preserve assets by continue trading. March 2014: Karuturi sues to challenge the appointment of receivers and stop the sale of the charged properties. Karuturi was reported to have been relocating to Ethiopia in March 2014 in what was seen to signal a loss for Kenya as a preferred flower growing powerhouse. October 2014: The Receivers create a company called Twiga BV to facilitate the sale of Karuturi flowers to the Netherlands and to receive revenue in order to pay expenses, staff and suppliers of the business. This came after Karuturi BV had been declared insolvent. October 2015: One of the Receiver Managers is relocating from Kenya and the firm resigns. The bank appoints Muniu Thoithi and Kuria Muchiri of PWC as the new receiver-managers. Twiga was transferred to the new receivers at the end of 2015. March 2016: In a hearing of a case filed to wind up Karuturi, and with lawyers for Polythene Industries, Agility, Ivaco, Inter Label, ICICI and Stanbic, the lawyers for Karuturi side with the winding up clause and allowed this process to proceed. October 2016: A High Court judge finds that Karuturi had admitted (in March 2016) that they owed the bank $4M and Kshs 2.7 million before the receivership and that Surya and Rhea had provided securities to secure this debt. The court also directs that an independent forensic audit be done on business and operational transactions during the receivership period and look at items such as the expenses paid by the bank, repayments by Karuturi to the bank, balances outstanding, exports and production, payments to workers, tax payments, status of assets bought or sold during the receivership inventories, and compare the performance of the company between 2007-2012 to the receivership period. November 2016: The suit parties settle on Deloitte to do the audit. August 2017: Karuturi applies to the court seeking to pay $3.8M and Kshs 2.7 million within sixty days and have the bank release the land titles of Surya and Rhea. October 2017: The audit report to the court reveals that, in addition to the debt owed before the receivership of $6.2M, another $9.4M had been spent during the receivership. The audit showed that 403 million good quality roses had been harvested (between February 2014 and May 2016), 2% of which could not be accounted for. Altogether in 2015 and 2016 Twiga received $23.6 million and paid $23.5 million for vendor expenses and administrative functions. Also, the assets of the company were intact, contrary to a Karuturi claim that the receiver managers had run down the assets of the company and it dismissed many of the accusations of Karuturi including that on transfer pricing and found that the receivers had not engaged in misconduct. The audit also found that the last known date of production at the farm was early in May 2016 and that the farm was descending into disrepair as costs continued to be incurred in preserving it. October 2017: ICICI Bank of India wins a separate demand for $40 million from Karuturi. January 2018: Courts rule that the receivership was proper and that Karuturi directors should pay the pre-receivership debt of $4M and Kshs 2.7 million, with interest, within 60 days. Also that, within 90 days, they are to pay $6.3M owed to creditors during the receivership and $6.7M advanced by the bank during the receivership period up to December 2016 and another $0.97M of receivership expenses incurred the following year to July 2017. March 2018: Reports that an American company, Phoenix Group, has invested an undisclosed sum, said to be $2 billion, in Karuturi Global to help it pay its debts and revive its Kenya operations. May 2018: The Receiver Manager of Karuturi (in liquidation) puts the movable assets of the company on sale. These include 1,400 steel greenhouses, vehicles, refrigeration and irrigation equipment. The land they occupy at Moi South Rd, Lake Naivasha is not part of the transaction. Later in the month, Karuturi appealed against the court judgment and sought to terminate the receivership and also stop the sale of assets. September 2018: The case is due for hearing this month. In the meantime, Kenya has enacted new company laws and insolvency laws. The main difference is that whereas before a receiver manager would act in the interest of the bank, they are now mandated to act on behalf of the bank and all creditors of the company. This entry was posted in Agriculture, Corporate governance, Horticulture, Karuturi, receiverships and tagged Floriculture, Flower Farms on September 7, 2018 by bankelele. Asoko Insight has published an interesting review of flower farms and the floriculture industry in Kenya showing trends for the region and new markets for what has been a steady export for the country. It is Interesting that the Netherlands is considered the world’s largest producer of flowers with a 45% of the export value, followed by Colombia 17% and Ecuador 10%. Kenya has 9% of the global flower market, far ahead of Uganda and South Africa in Africa. Export-oriented: Kenya flower exports earned $813 million (Kshs 81 billion) in 2017 according to Kenya’s Horticultural Crops Directorate and these are growing at 11% per year. Kenya’s 2018 economic survey has these cut flowers, 160,000 tones of them representing 71% of horticultural earnings; much larger than vegetables and fruits at Kshs 24 and 9 billion, respectively. Most flowers are grown for export, while domestic demand is but a small fraction that comprises purchase of low grade products. 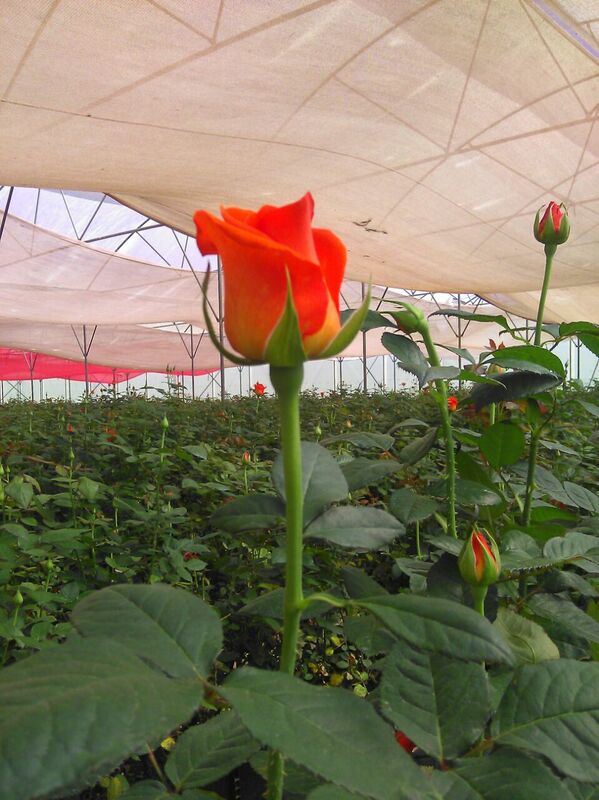 Producers: There are 236 companies actively growing flowers, 24 are large, and these include Oserian Development, James Finlay, Carzan, Primarosa, Vegpro Group, AAA Growers, Mount Elgon Orchards, Flamingo, PJ Dave, Kariki, and Timaflor. Producers need certification to break into export markets and sell at premiums. Large farms market their flowers to sister companies and contract smaller farms who also have the option of using international wholesalers. Netherlands: FloraHolland is the largest flower auction in the world and has historically Europe has been the main destination of Kenya’s horticultural trading, but the report mentions that some large Kenyan producers are bypassing the Dutch auction system, directly supplying bouquets and loose flowers to large Western retailers such as Walmart and Tesco who focus on delivery, reliability, and traceability, not just price. Primarosa was recently in the news pushing for the Kenya floriculture industry to set up its own flower auction. Ethiopia: The report also compares the floriculture industry of Kenya and Ethiopia which has been in the news due to the long-running Karuturi versus Stanbic bank case which has highlighted that some flower farms are shifting their floriculture interests and investments to Ethiopia where there are less labour (union) and tax issues in production. Kenya’s flower exports in 2016 were $690 million compared to $190 million for Ethiopia. That said, it has not been smooth sailing for Karuturi in Ethiopia so far. Read more in the Asoko report (PDF) on Kenya’s floriculture industry. This entry was posted in Agriculture, Ethiopia, Horticulture, Netherlands and tagged Floriculture, Flower Farms on June 12, 2018 by bankelele.